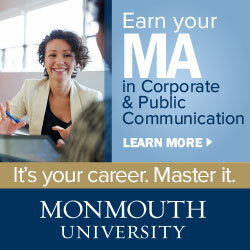 Need to inform or inspire PR professionals in NJ? 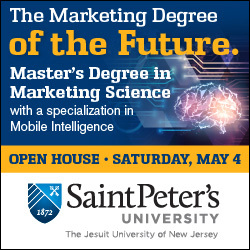 Advertising and sponsorships with PRSA NJ get YOUR organization noticed! 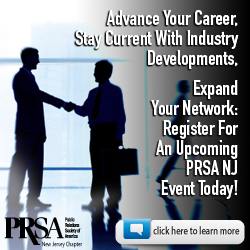 Whether you’re searching for talent to recruit, ways to expand your network, or new channels to build your brand and grow your business, PRSA NJ can share your organization’s message or career opportunities and message with hundreds of public relations professionals and influencers in the Garden State. Our robust website, social media platforms, quarterly newsletter and live chapter events provide affordable, effective methods of reaching PR professionals representing business and industry, counseling firms, creative agencies, government, trade associations, hospitals, K-12 and higher education, professional services firms, and nonprofit organizations. 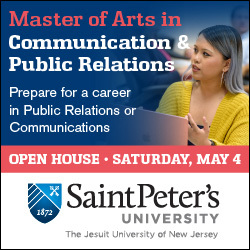 Your message will reach an audience of communications professionals who are actively engaged in and committed to their profession. Interested? 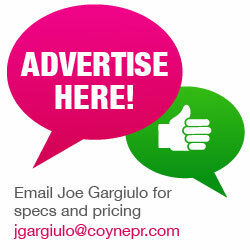 View current ad and sponsorship rates below and contact Joan M. Bosisio to design a package that best meets your needs. Contact Joan M. Bosisio to discuss your goals and design a package to best meet your needs. PRSA NJ currently offer three sponsorship packages for companies that wish to promote their products and/or services at our events, which typically attract between 30 and 100+ PR professionals of all ages and levels of experience. For more information about becoming a PRSA NJ event sponsor, contact our Sponsorship Chair, Joe Gargiulo (jgargiulo@coynepr.com). Recognition and/or logo on all event promotion and related materials, which can include Web site, emails, newsletter, social media, news releases etc. Verbal recognition at event and opportunity to share company materials.